Back to back wins in the Group 3 Earl of Sefton Stakes at Newmarket in April and then the Huxley Stakes at Chester in May, the latter race a Group 2 for the first time this year enabled him to take his chance in the Eclipse. He found himself overmatched that day before finishing 5th of 7 in the York Stakes at the end of July. He is a proven top class performer and has won on the all-weather surface at Newcastle. A rival of Cheongdam Dokki when they were juveniles, his career has been hampered by injury since which has restricted him to just nine starts. He returned to action in August with an effortless victory over this distance in a class 1 handicap and so long as he’s trained on from it – and the word is that he has – there is no reason why he can’t prove he belongs here. Drawn in gate 3, he can take a sit behind the early speed and make his move late on. Trained by Thomas Gillespie at Busan, Great King has won six of twenty-one in total and three of his latest six. He last ran in early July beating a decent field at 1 1⁄4 m, coming from just off the pace. He looks to still be getting better and while this is obviously a tough assignment, he can acquit himself well. Korean Derby winner in 2017, he’s been a touch frustrating since, offering hints of real talent but similarly flopping on occasion too. He began the year winning a listed race over 6 f and enters having last run 4th in the SBS Sports Sprint in July. Back up to two turns today, he is versatile – he won the Derby coming home wide and late but has also gone forward too. He’ll be an outsider here. By some margin the lowest rated among the local entrants, the three-year-old has only race nine times for three wins, two of them at this distance. A smart winner at local class 2 on his latest outing in August when he led all the way but this is almost certainly too much too soon for him. He began his career in France winning two of seven starts. He then missed over a year, reappearing with Willie Mullins in Ireland and after winning a Thurles handicap in December 2016, was gelded and sent hurdling. He returned to the flat in April 2017, winning three of five at distances up to ten furlongs before heading to Australia and trying his luck in the Ladbrokes Stakes at Caulfied. He finished 7th of 11 behind Gailo Chop that day and after a lengthy spell, returned to action in style at the end of July, winning a seventeen-runner handicap at the Galway Festival for the second year running. Trainer Willie Mullins has put a Korean jockey on board who knows the track well. The last time he came to Seoul he ran a huge race in the season-ending Grand Prix Stakes last December, closing to finish 2nd to Power Blade over 1 7⁄16 m. He’s not won since and his recent Busan form is uninspiring. If the early pace is very hot and the leaders tire, he may make up some ground late on. The six-year-old has won ten of forty and was last in the winner’s circle at Busan in May when he scored over 1 1⁄4 m – it was his first win in two years although he picked up plenty of minor money in the meantime. He’s struggled in his latest two and he looks a touch overmatched here but he still may well beat a few. 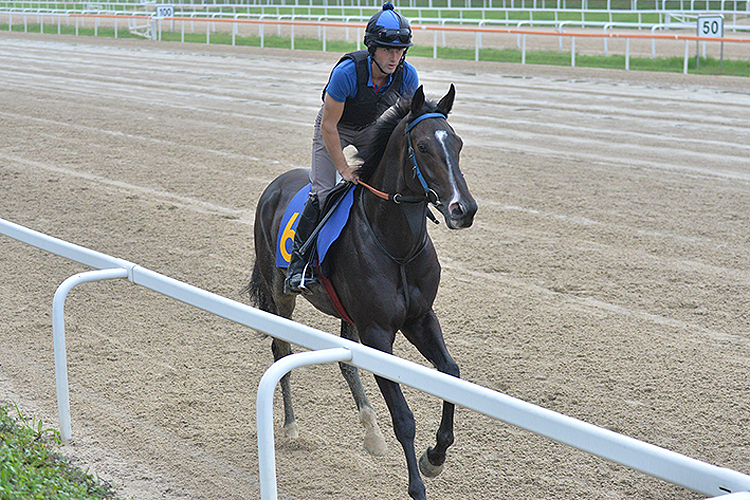 A Singapore-based polytrack specialist, his latest win was at a mile in April. He’s run three times since then including finishing 6th behind Southern Legend in the Group 1 Kranji Mile. He has never raced a further than a mile before but is trained by Alwin Tan, who knows what it takes to be successful on this track having saddled El Padrino to victory in the inaugural Asia Challenge Cup in 2014. Found a rich vein of form when scoring in three consecutive class 1 handicaps between February and April this year but has tended to struggle when faced with really top class opposition. Comes in having run 7th of 10 last start over 1 1⁄4 m and has plenty to find. While he’s won only one of his twenty-eight starts to date, this Dubai-trained gelding has found the money on plenty of occasions with no fewer than six runner-up finishes as well as four 3rds to his name. Yet to race this year, he will, however, be an outsider. Always talented but coming into his own this year. He won a local Group 3 at 6 f in March before scoring by ten-lengths in a class 1 handicap here at the end of April at today’s distance. He went to Busan for the Mayor’s Cup on July 1st, again at this distance and got to within three-lengths of Cheongdam Dokki. Still will potential to get better, he will try to sit just behind the early leaders. Korean racing’s latest great hope. Four for four in 2018, he has established himself as the top horse on the peninsula. His last defeat came in the Grand Prix Stakes here at the end of 2017 but even that was only after he had set some brutal fractions for the first part of the 1 7⁄16 m. He generally leads and dominates his domestic races although he can be patient if necessary. He can overcome the wide gate to get close to the action early and it should be a chance to see what he is made He is Korea’s best chance to get a maiden win in the Cup. He was a dominant winner of the race last year, making all and breaking the track record in the process. It hasn’t been straightforward since, however, as he’s yet to return to the winner’s circle in five subsequent starts, all of them at Group level. This contrasts with his lead up to the race last year when he broke the Sapporo track record at 1 1⁄16 m. Nevertheless, all those races were in very tough company and even if he is not quite as on song as a year ago, back on the sand at Seoul, he remains the one to beat. Wide draw but that was the case last year too. Winner of the Grand Prix Stakes in 2016 he has since seen Cheongdam Dokki usurp him as Seoul’s top horse. Nevertheless, he returned to winning form in March before finishing runner-up to Cheongdam Dokki in two big Stakes races in April and May. He always has to start from the widest gate due to his starting manners and don’t be surprised to see him miss the break slightly. He will get stronger as the race goes on though and can challenge for the minor money.